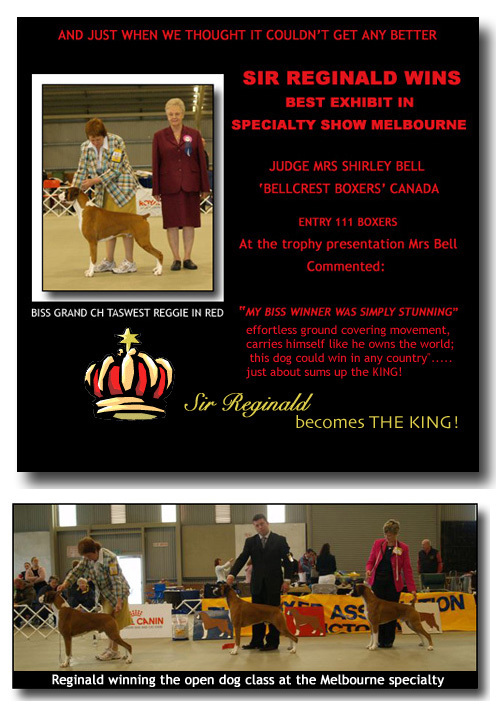 THE KING HAS LEFT THE RING…….. After an outstanding and enviable show career spanning over 7 years, King Reginald has hung up his collar and lead and retired to the sofa. 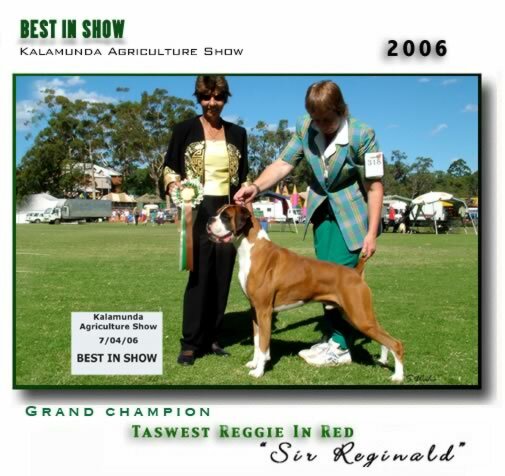 After winning his 45th Best Exhibit in Group at the end of January 2009, the difficult decision was made to retire Reginald whilst he was still “on top”. 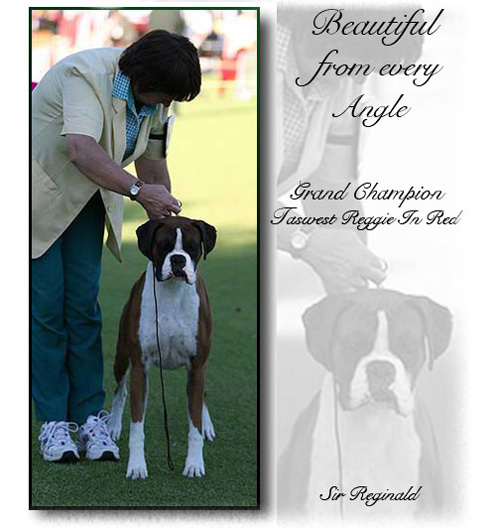 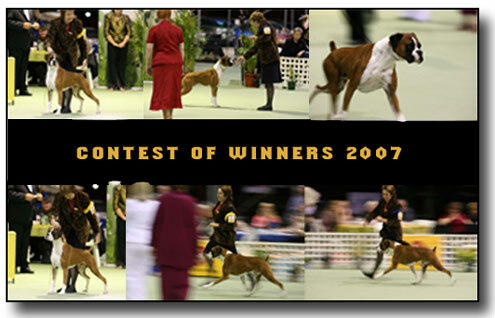 A multi Best Exhibit in Show winner- (including a Boxer specialty in Victoria) and multi Runner up Best in show all breeds winner, winner of the “Ultimate Utility” event, invitee to the Contest of Winners 4 consecutive years (of which he was Runner up at one and semi finalist at another)+ many other milestones too numerous to name- there seemed to be very little left to achieve in the show world for this wonderful example of the breed. 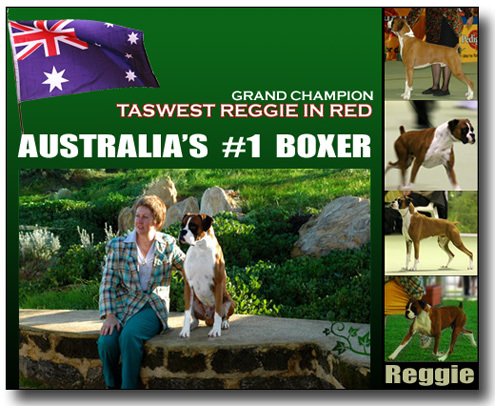 Reggie is one of the dogs that captures your heart, he has been a pleasure to show, own and love. 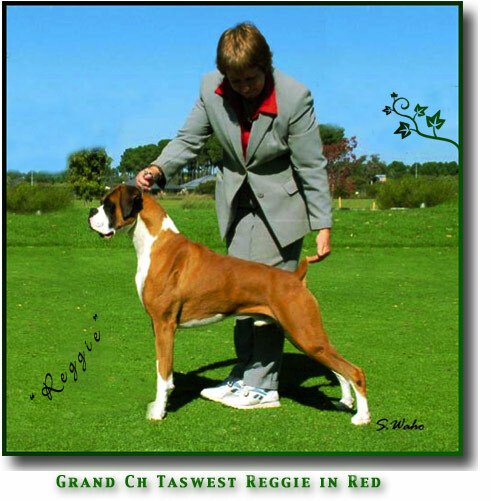 Over 2005 & 2006 he has achieved high results in pointscores both in the state and Nationally.